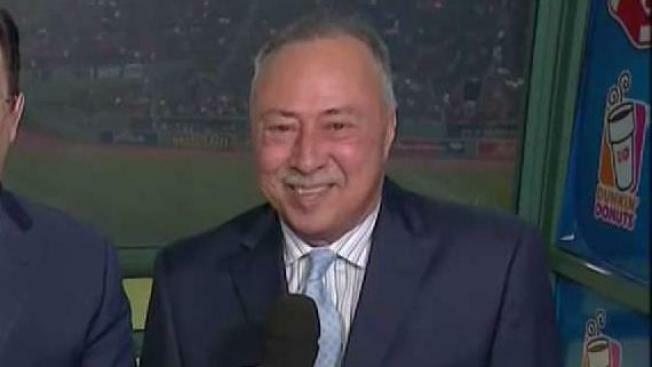 Longtime baseball broadcaster Jerry Remy announced he's completing his final round of radiation following his latest cancer diagnosis. The color commentator also announced he was joining NESN's broadcast for an inning during Wednesday night's Boston Red Sox game against the Baltimore Orioles. "Looking forward to visiting Fenway," Remy wrote on Twitter Tuesday afternoon. Remy announced his most recent battle with cancer in August, tweeting after the announcement that the diagnosis "hit me hard but I have never quit and will not now." The 65-year-old former Red Sox second baseman was first diagnosed with lung cancer in 2008, relapsed in 2013 and again twice in 2017. He returned this season for his 31st year broadcasting the team's games.